What an excellent run, Andy, and a superb accounting of it. I love your tongue-in-cheek humor and your, if you’ll pardon the pun, take-it-all-in-stride attitude. You did a fantastic job on running and writing. Thanks for sharing and voicing thoughts that many of us have had and need to remember! Thanks, Linda. I don’t want to brag, but I shoved up to the front the corral at the start and may have been sharing the lead in this race for a good 6 or 7 feet. I will never forgive the race photographers for not capturing this accomplishment… lol. Hi! 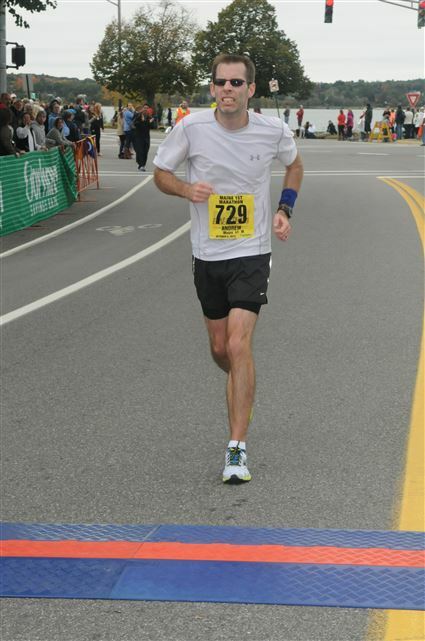 Love your post on your experience with the Maine marathon. I grew up in the Portland area. 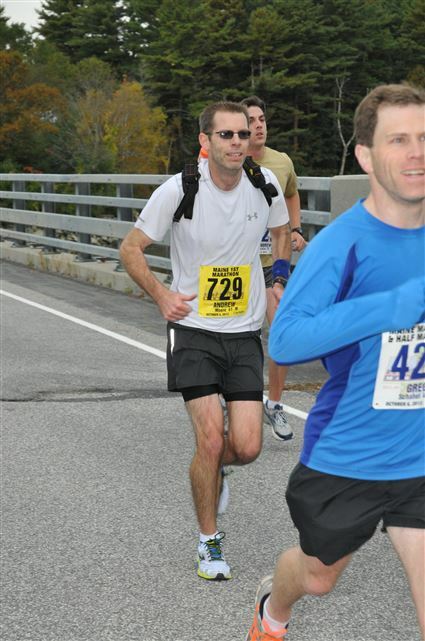 The October 5, 2014 Maine marathon will be my very first! Love the link for the Orange Mud mini pack! Thanks! Thanks, Kara. The Maine Marathon is such a great time. Well-run race, fun city, good support along the way… great shirts! I’ll be back in it in 2015; enjoy your run this year and I hope the Orange Mud pack works as well for you as it has for me.